A new steel mounting system developed by Hanwha Q CELLS has won a 2017 Intersolar innovation award. The revolutionary design replaces traditional aluminium frames which support the photovoltaic (PV) modules on a solar mounting rack. By utilising ArcelorMittal Europe – Flat Products’ breakthrough Magnelis® coating, Hanwha Q CELLS have significantly reduced the carbon footprint and cost of PV installations. 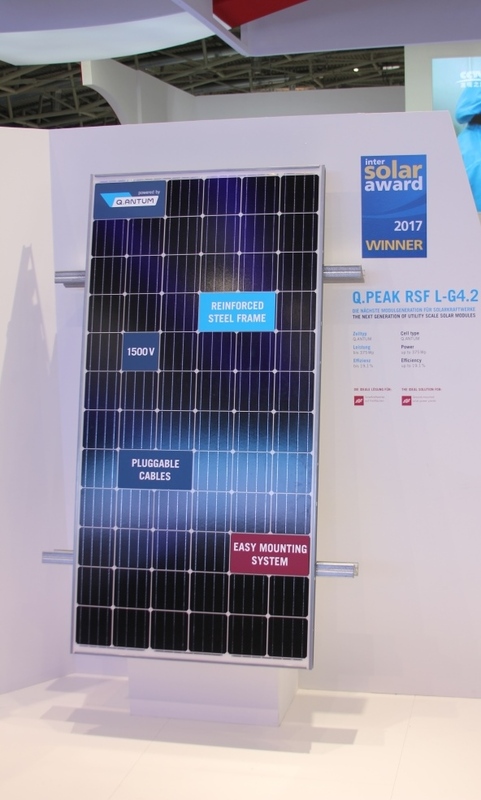 Known as the Q.PEAK RSF L-G4 (the RSF stands for Reinforced Steel Framing), the new framing solution was recognised by the Intersolar judging panel for its: “…combination of innovative design with a strong focus on product sustainability.” Hanwha Q CELLS estimate that the RSF frame will reduce the module’s carbon footprint by around 15 percent compared to the traditional aluminium frames in use today. 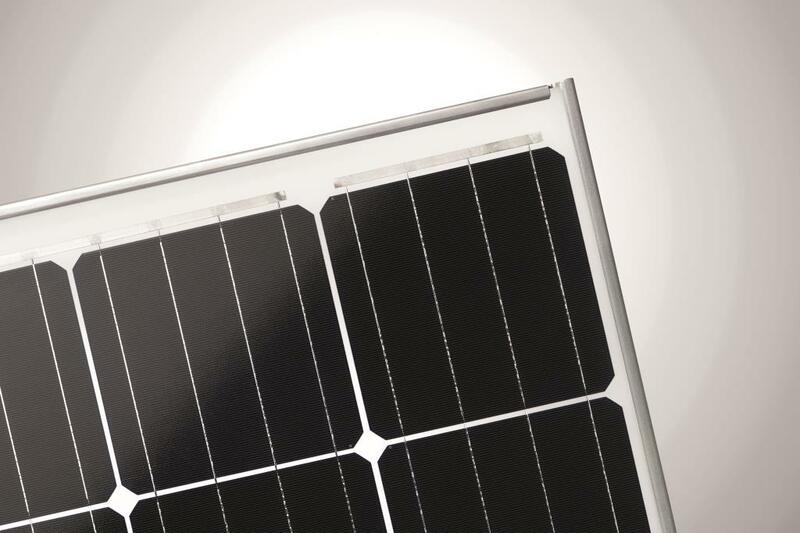 By utilising Magnelis® coated steel, Hanwha Q CELLS have ensured the long-term performance of the frame. As well as offering corrosion resistance on the surface, Magnelis® protects deformed zones, edges, and perforations thanks to its self-healing effect. It is also highly resistant to abrasion – a key factor in the sandy desert environments where solar energy is plentiful. The development of the RSF frame took almost a year of research and prototyping. During this phase, ArcelorMittal R&D provided Hanwha Q CELLS with technical advice and support regarding the long-term performance of Magnelis®. 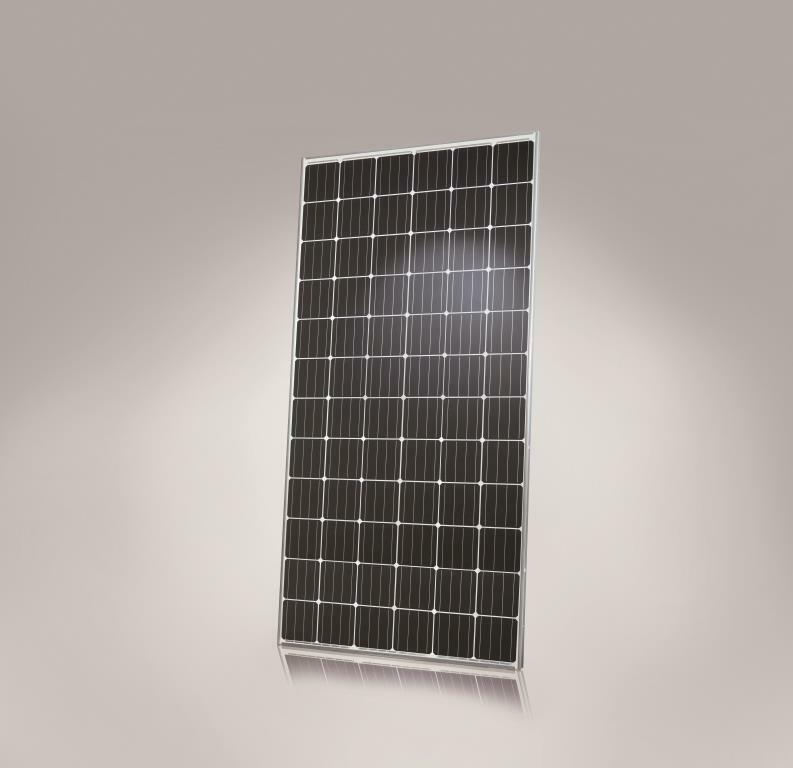 The new Hanwha Q CELLS frame is very easy to install, cutting labour and material costs. The Q.PEAK RSF L-G4 reinforced steel frame combines innovative design with a strong focus on product sustainability. Magnelis® protects deformed zones, edges, and perforations on the frame thanks to its self-healing effect.